As a biochemist developing novel molecular biology technologies, Janice co-founded and now leads scientific research for Mammoth Biosciences. 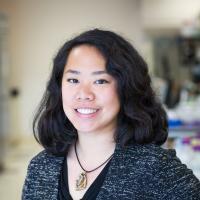 Formally a Ph.D. student working in CRISPR pioneer Jennifer Doudna’s lab at UC Berkeley, Janice investigated the mechanism of DNA-cutting by CRISPR proteins and co-invented the CRISPR-based DETECTR technology. Janice received her BS from Johns Hopkins University, where she studied how reactive oxygen species affect yeast metabolism in the Val Culotta Lab. She also brings her past experience working in the Pamela Silver Lab at Harvard Medical School, where she engineered bacteria to produce biofuels.